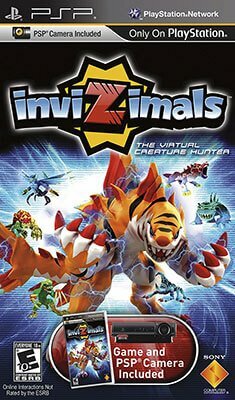 Invizimals is a PlayStation Portable augmented reality collectible creature video game developed by Novarama, and published by Sony Computer Entertainment Europe. It is the first entry in the Invizimals series, and was bundled with the PSP’s camera attachment at launch. The story follows Kenichi Nakamura, a researcher at PSP R&D in Tokyo. He is the Invizimals’ discoverer and the player’s mentor during the course of the game. Along the way, the player will meet Professor Dawson (played by Brian Blessed), who is another mentor for the player. He teaches the player special attacks like VECTORS and SUPERATTACKS. There are enemies you will meet during the game. Kaminsky is the person who hacked into the PSP R&D research labs to steal the Invizimal technology. The player will eventually confront him in a battle near the end of the game. Kaminsky is employed by Sir Sebastian Campbell, a most recognised character in the story who befriends the player, but has his own interests as well.